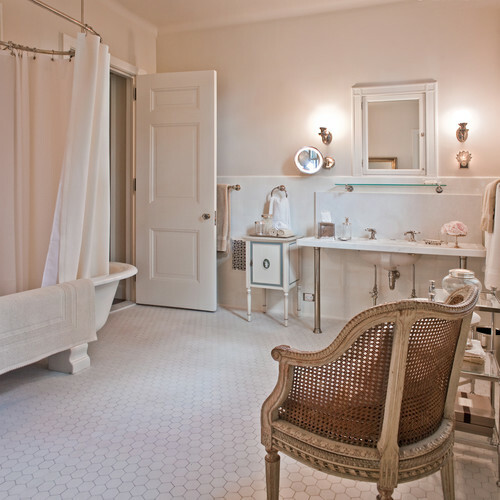 : Kitchen & Bath Style Trends from a Texas Interior Designer! 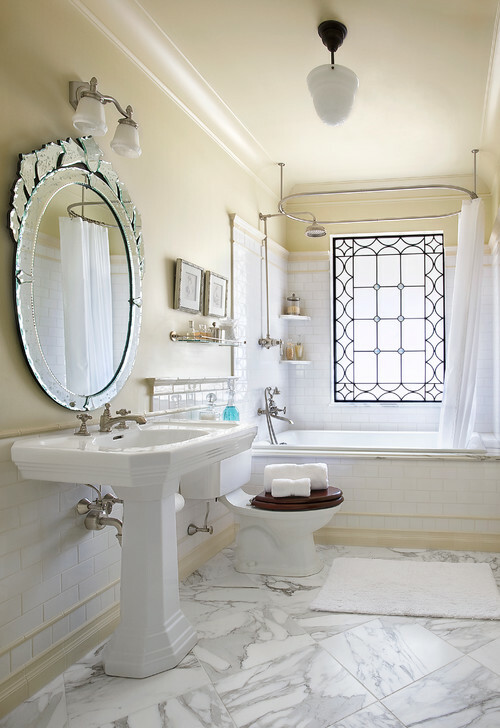 Donna Vining, an interior designer in Houston,TX, origninally wrote this blog on her site in May, and she is SPOT ON in recounting the year's most popular kitchen & bath choices! With so many people thinking of renovations, improvements, upgrades, etc... we thought we would share her GREAT ideas that will keep your home on trend and looking fabulous! Donna provides beautiful photos and short explanations of each trend. Enjoy this inspiring, easy read! I hope everyone had a wonderful weekend, celebrating Cinco de Mayo and the Kentucky Derby. 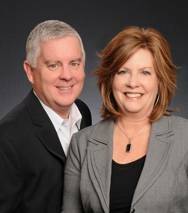 Today I wanted to share some of the top industry trends in Kitchen and Bath for 2013. Color: Gray color schemes are on the rise. They are being used currently in 55% of the kitchens and 56% of the bathrooms. Whites and off-whites remain the top color schemes. Beiges and bone remain the second most popular followed by grays and then browns. Style: Transitional style, a seamless blend of traditional and contemporary, kitchens and baths have far surpassed traditional styles. Contemporary remains in third place. 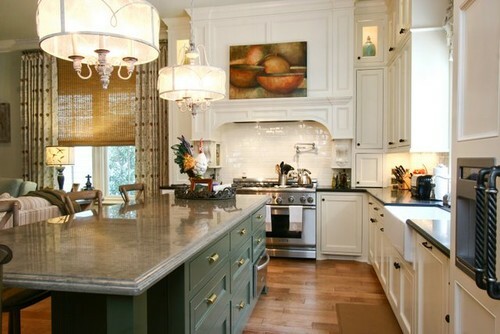 Countertops: Quartz is closing in on granite as the preferred countertop. The popularity of solid surfaces continues to rise. 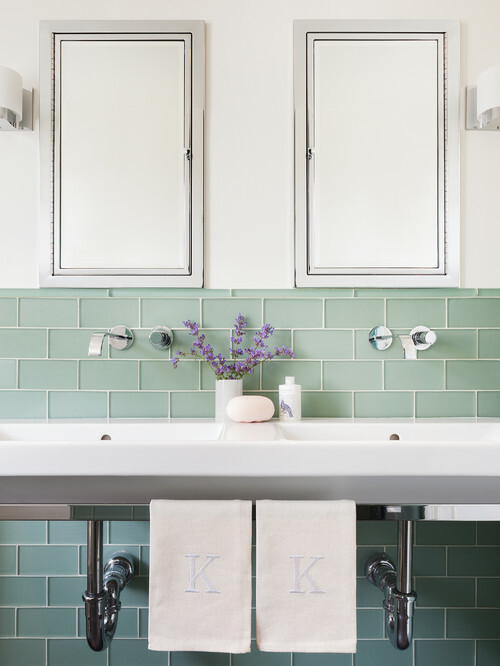 Marble still remains a popular bathroom vanity top. 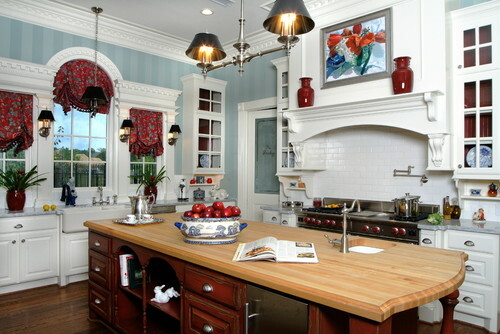 Cabinetry: White painted cabinetry stayed on top of the charts among painted cabinets. 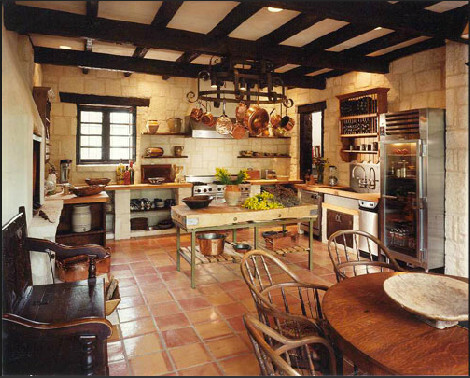 Use of light, medium and natural finishes has remained more or less consistent over the past year. Light finishes are currently used by less than medium and dark finishes which are almost tied. Backsplashes: The preference for glass back splashes has grown dramatically over the past three years. At the same time, while natural stone tile showed consistent growth for the last couple of years, it has now dropped. Ceramic or porcelain tile held its top position for the third years in a row but overall usage is down. Lighting: Energy-efficient lighting is widely used by Americans and Canadians. LED, light emitting diode, is being specified by a higher percentage of designers. The significant uptick from 2011 indicates that this trend has serious staying power. Meanwhile, there has been no significant change in the use of compact fluorescent lighting and incandescent bulbs. Faucets: Touch activated faucets are growing in popularity but pull out faucets are still in the top position. 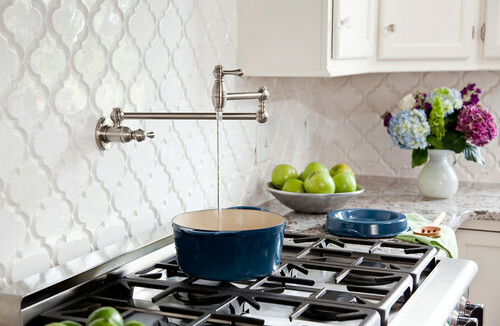 Pot filler faucets grab the second spot this year, gaining over the past year. Finishes: Satin nickel has been the top finish since 2011. Bronze or oil rubbed bronze finishes are also being specified more often coming at the expense of polished nickel and polished chrome. Flooring: Ceramic or porcelain tile flooring has been in slight decline over the past two years in baths, but it remains the most popular material specified. Natural stone has also declined but remains in second place. Sinks: Undermount sinks are in a slight decline but here again they remain in first place. 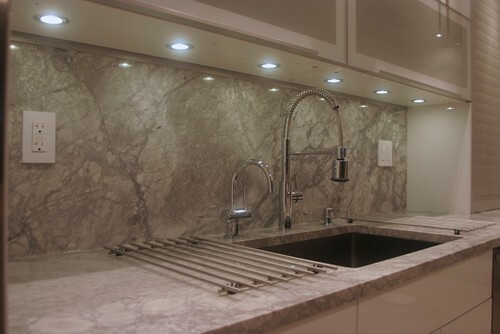 Integrated sink/tops have seen modest growth. I think Texas and Southern California share a similar design aesthetic. 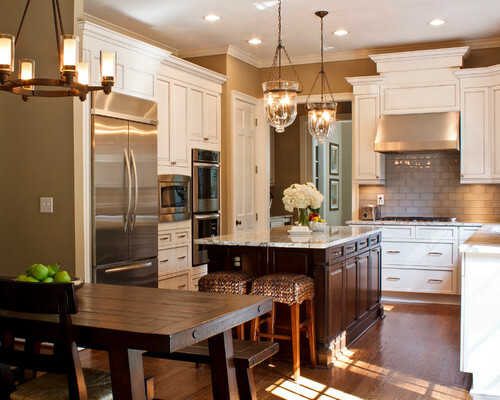 Who wouldn't love a kitchen like any of those--clean and bright and open? Thanks for the great eye candy this morning! Appreciated this savvy reblog...important that we all keep up on trends.